Participating in Eastchester Community Action Program’s (ECAP Annual Thanksgiving Food Drive is our troop’s signature community service event. It is one of those family events where often times we see the parents but don’t see the scout on the night of sorting all our food booty at ECAP’s headquarters. There is a tremendous storage space in the basement that represents ECAP’s food pantry. Enough food from various corporate and civic donors is often enough to provide throughout the yearend holiday seasons and any excess food is shipped off to other Community Action Programs in Westchester County! As is tradition, the troop’s adult volunteers seek out local golf pro Dave Stevenson and his very moving presentation about how he has remained committed to helping a small community in Mississippi following Hurricane Katrina — even to this day! His story is one of hope and inspiration and every time we hear his powerful message, our troop families comes away highly motivated to gather even more food throughout their neighborhood. 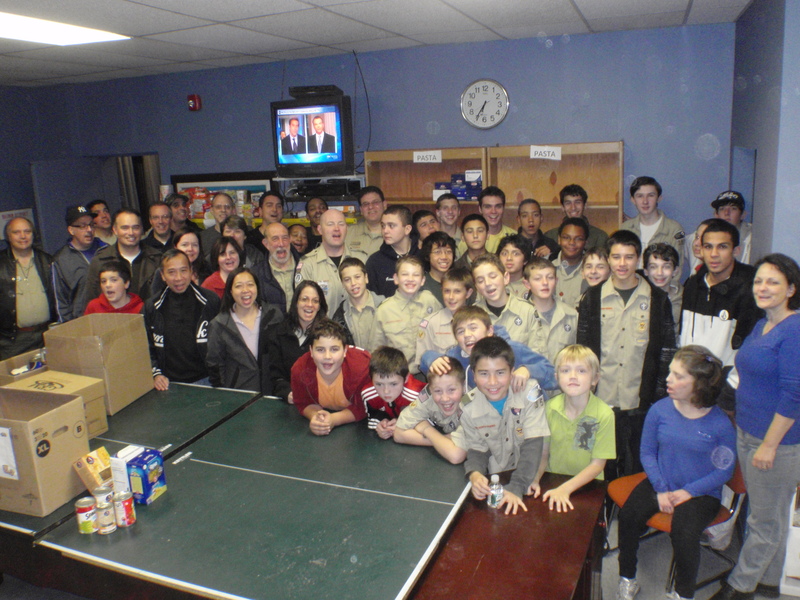 Consequently, the troop’s Good Turn efforts tend to generate an above-average level of food and scout participation. As always, Ms. Charlene Lambrecht (Director of ECAP) is always enormously grateful for our troop’s efforts and this is very obvious from all the smiling faces above and in these wonderful pictures! Although Camp Durland is our Council’s short-term camping property, and even though we camp there at least twice a year, it seems like there is constantly new ground (literally!) to be discovered! If it is November, then it must mean it is time to go backpacking! This year, we decided to start and end from our campsite inside Durland instead of starting north of Durland inside Fahnestock State Park and then having a few adults shuffle all cars down to Durland. With a varied group participating, the Green Bar correctly decided to create a shorter and a longer trail, though the group would be together for a good portion of the trail, prior to splitting up! The weather and the guests and the scouts all held up great! The scouts appreciated discovering the remnants of old Denytown from the mid-1800s and likewise enjoyed finding new rock formations to explore. The surrounding seemed so interesting that many forgot about their backpacks. 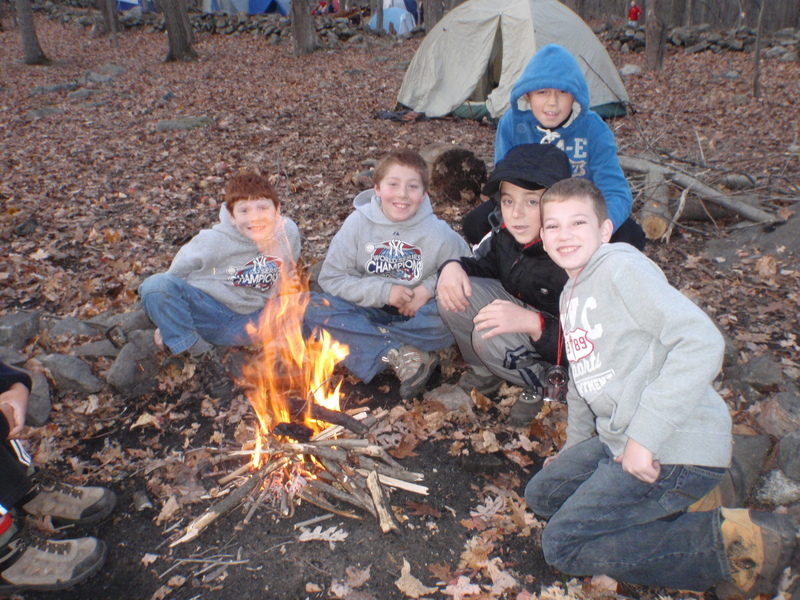 Some of the older scouts learned how to prepare a quick lunch using a backpacking stove while on the trail, while younger Scouts learned about building a fire and worked further on Totin’ Chip after the hike. All in all, there was something for everyone and, these pictures show, everyone had a great time once again! Author scoutmasterPosted on November 13, 2011 February 9, 2012 Categories Activities, Backpacking, Camping, Clear Lake, Durland Scout Camp, Events, Hiking, PhotosLeave a comment on Backpacking at Its Best! Every year our troop, along with 4 other local troops, has responsibility for keeping a section of the bike bath along the Bronx River, free of garbage. After an unexpected heavy snow storm just 2 weeks prior in late October, there was plenty of debris to pick up. It was a beautiful day and the younger scouts were amazed at the breadth of wildlife apparent around the river. The adults, on the other hand, were amazed at the amount of trash. 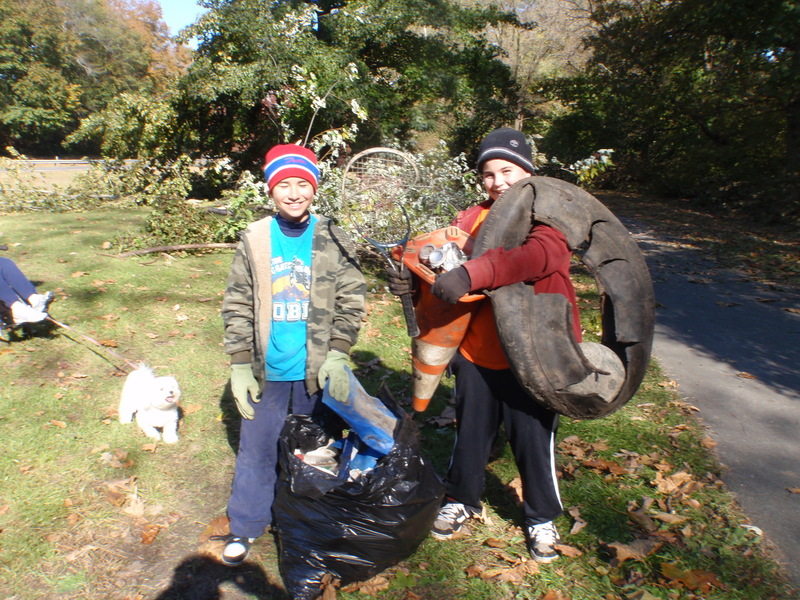 The scouts spent a good 4 hours participating and county-wide it was regarded as a “Pitch-In for Parks” cleanup day. We are never surprised at how much garbage our scouts collected–just check out these pictures!